Provides PE for the Raptor's pods and missiles, 1/32 scale. 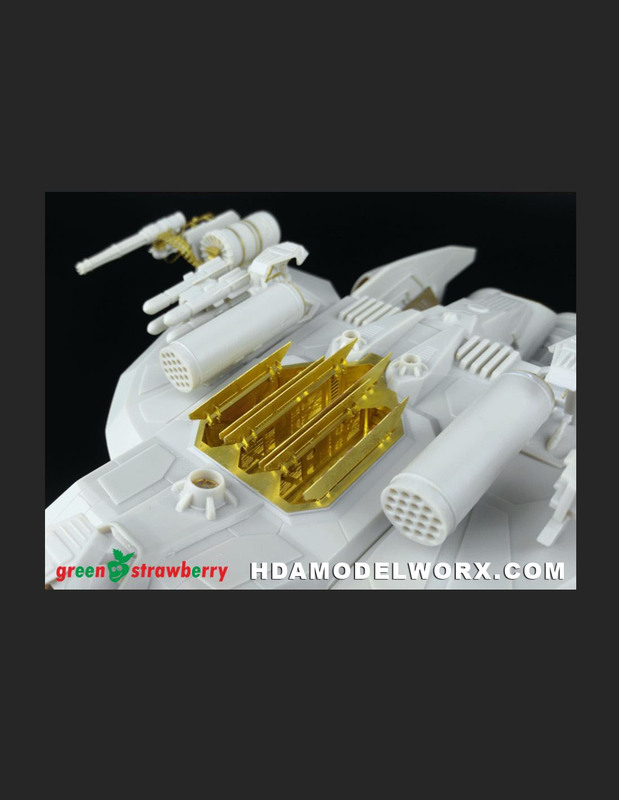 Adds excellent detail to the armament set to really punch up the detail. Even includes gun belts! Raptor model kit not included. BATTLESTAR GALACTICA RAPTOR MODEL KIT 1/32 SCALE from Moebius Models. 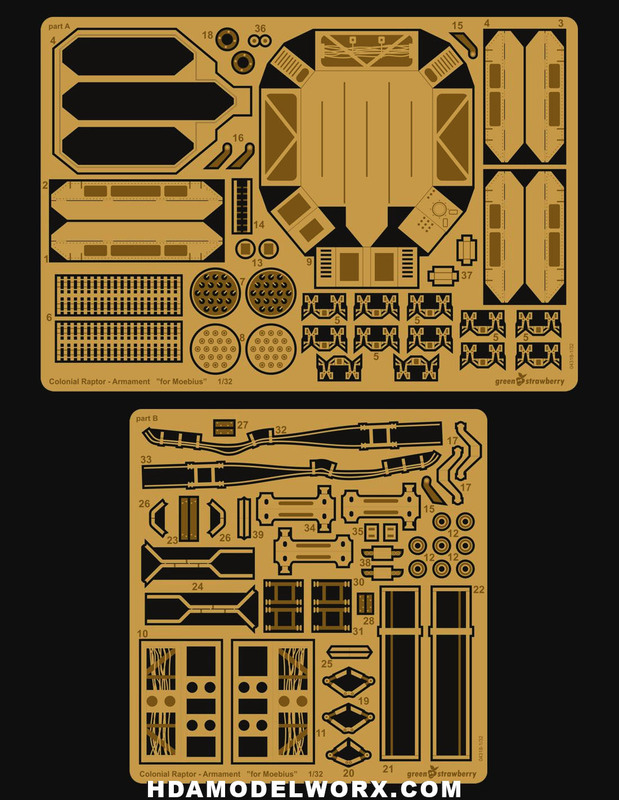 BATTLESTAR GALACTICA RAPTOR ARMANENT SET for the 1/32 SCALE model kit from Moebius Models.